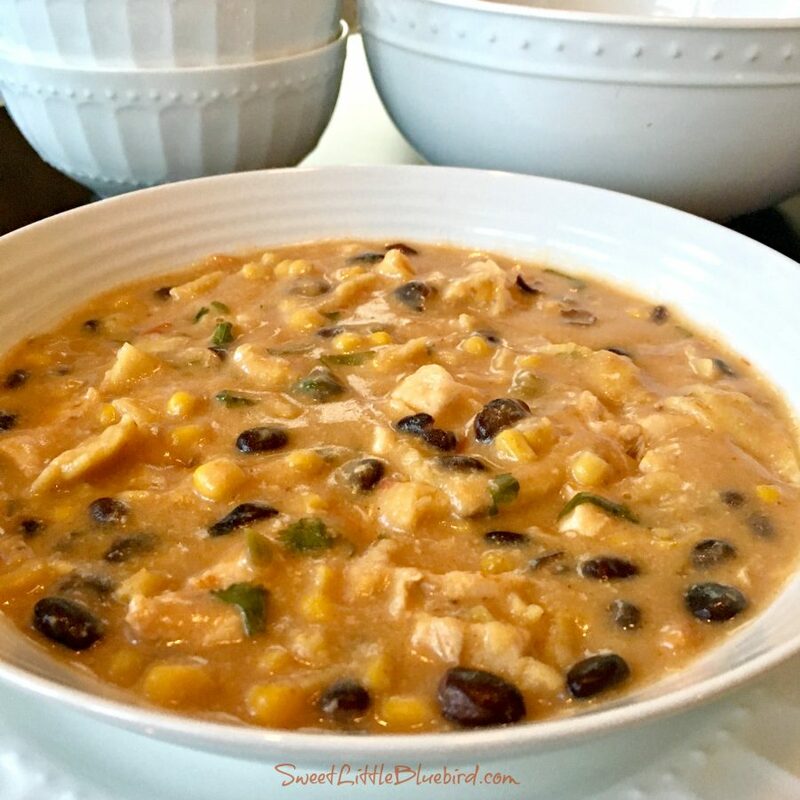 Today’s tried and true is a fantastic recipe that’s sure to warm you up this fall and winter, Slow Cooker Chicken Tortilla Soup. This is a big bowl of comfort! 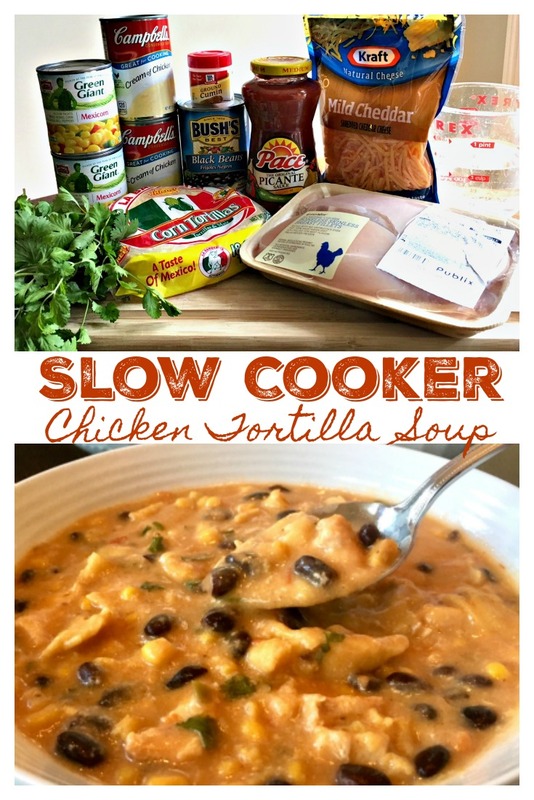 SLOW COOKER CHICKEN TORTILLA SOUP – This chicken tortilla soup is absolutely delicious, full of flavor and simple to throw together. 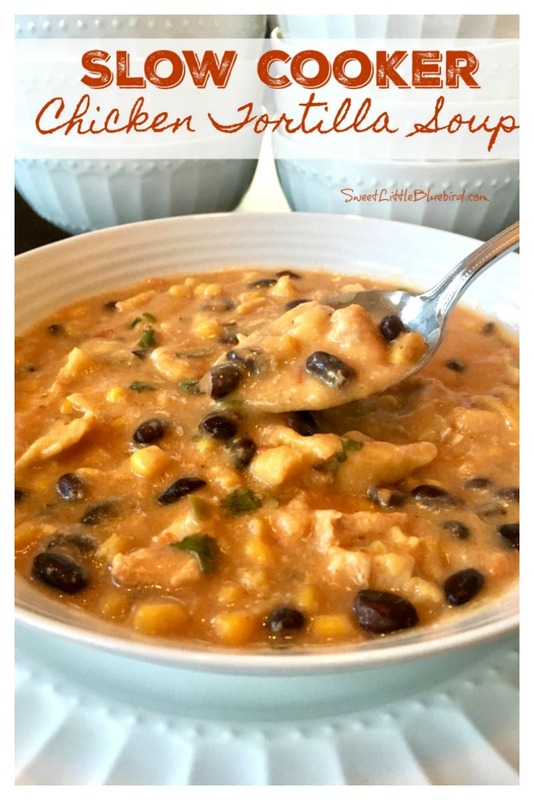 Loaded with tender chicken, corn, black beans and more. This is a warm, hearty, stick-to-your-bones soup – comfort food at its best. 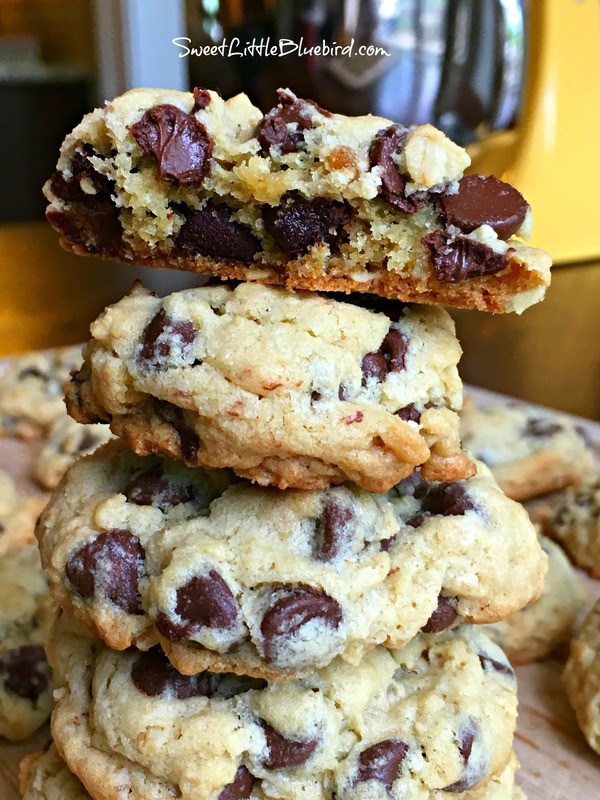 This awesome recipe was found on Campbell’s Kitchen. 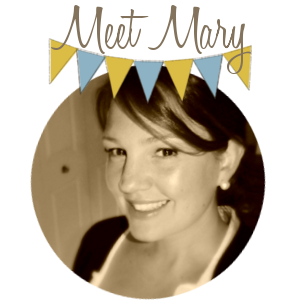 Head over to read the rave reviews. My husband and I both give it 5 stars! 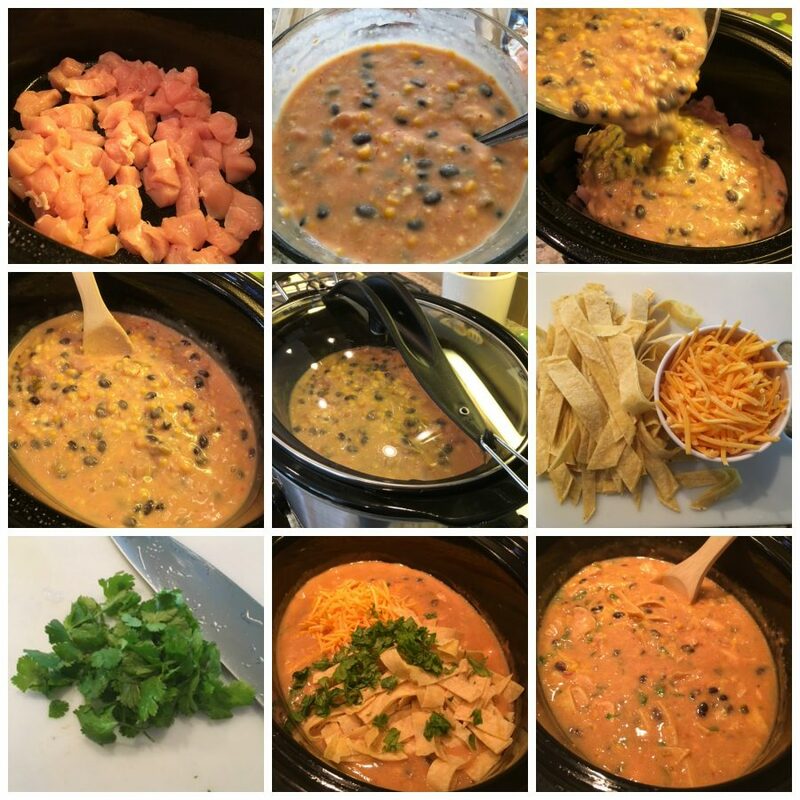 What you need: boneless, skinless chicken breasts, picante sauce, whole kernel corn (frozen or canned, I used Mexicorn), cream of chicken soup, water, black beans, ground cumin, shredded cheddar cheese, fresh cilantro and corn tortillas. 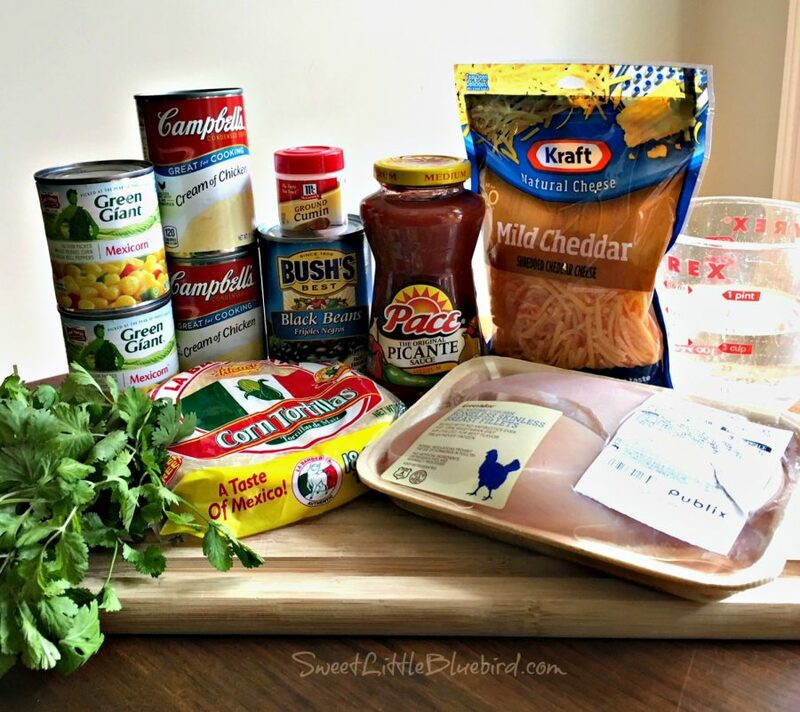 *Want to make your own condensed chicken soup? I share a link below for an easy recipe to make your own homemade condensed cream of chicken soup. 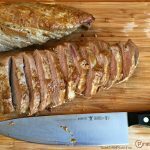 This recipe is easy to adapt too. You can make your own homemade condensed cream of chicken soup (link to recipe below), or use reduced fat soup. You can add more heat, using a hot Picante sauce or tossing in some green chilies or jalapenos. I wanted more corn so I used two 11 ounce cans of Mexicorn (golden whole kernel corn with red and green sweet peppers). 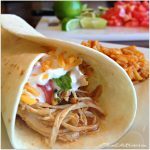 To make – place chicken pieces in slow cooker, then add Picante sauce, soup, corn, beans, water and cumin. Stir, mixing well. Cover and cook on low for 4-5 hours (or 2 to 2 1/2 hours on high) until chicken is cooked through and ready. 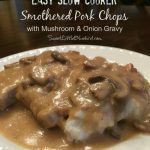 Be sure to adjust cooking time according to how fast/slow your cooker cooks. When ready, add corn tortilla strips, cheddar cheese and cilantro, mix well, cover and cook an additional 15 minutes. Serve with additional cheese and fresh cilantro on top if you like. Enjoy! I made a few changes in the process, opting to mix everything in a large bowl, then pouring the soup mixture over the chicken and mixing. I also sprayed my slow cooker with non-stick cooking spray. A great side for this soup would be a slice of Easy Amish Sour Cream Cornbread – the best cornbread recipe I have ever made! 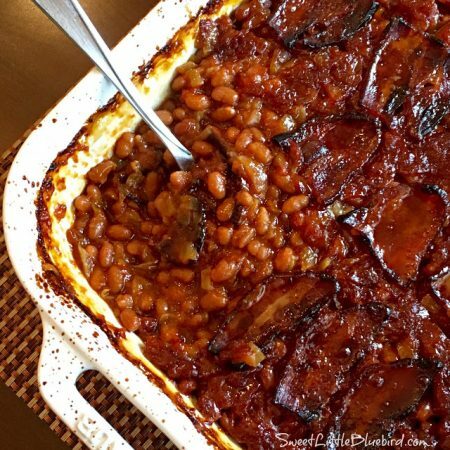 NOTE: This is not a sponsored post, I have no affiliation with Campbell’s or Campbell’s Kitchen, I am just a fan of this recipe. 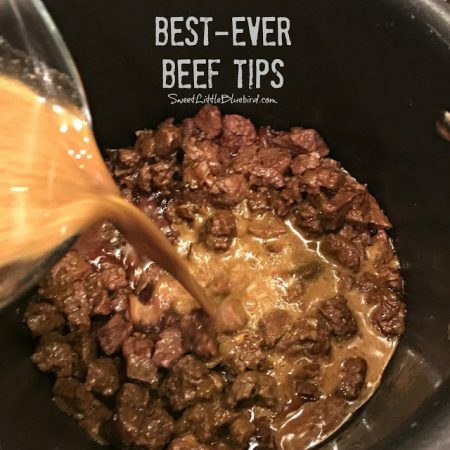 When I share a tried and true recipe, I always credit the source and often will send you to the site for the directions and to print the recipe. 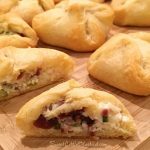 All you need to do is click on “Print Recipe” below and it will take you to the full recipe. One extra step for an awesome recipe, that’s it! It’s important to me to share the love and send you to the original source. For the directions and to print this wonderful recipe, please head to Campbell’s Kitchen. What a delicious looking bowl of soup! It looks perfect for a chilly day like today.